The service contract will contribute in raising knowledge on the territorial impact of migration and refugee flows in the Adriatic-Ionian and Danube macro-regions in order to take these aspects into account in the framework of the EUSAIR and EUSDR strategy and the ETC programmes. Both the Adriatic-Ionian and Danube macro-regions face substantial inflows of migrants and refugees coming from outside the EU due to their geographical location. Some regions, like North Aegean and Puglia, have become the main landing points. Others, like Bavaria and Baden-Württemberg, are regions facing the highest influx of migrants as points of final destination. Therefore, both macro-regions are characterized by strong interdependencies and similar challenges in this matter. The main outcome should be a comprehensive overview of the recent migration and refugee flows in the Adriatic-Ionian and Danube macro-regions from a qualitative and quantitative point of view looking at the main driving forces affecting the geographical distribution of the migrants (e.g. 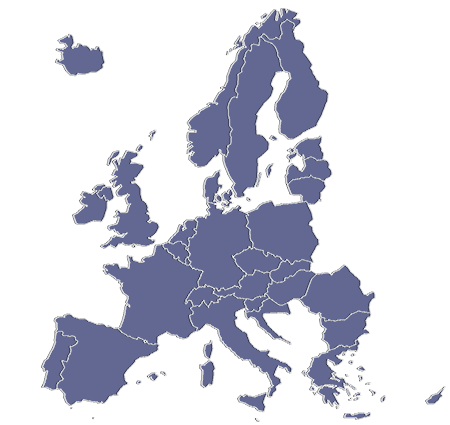 attractiveness of specific regions and cities to migrants and refugees). In addition, the territorial impacts of migration will be investigated seeking to explain how migration affect the current socioeconomic challenges and possibly provide opportunities as well. As a result the policy recommendations will focus on how different territories can overcome challenges of unpredictable and large scale inflows, manage integration and enhance the potentials in their endeavors to cope with the current migration and refugee inflows within their strategic policy and development objectives. What are the distinctive features of the new migration and refugee flows to the Adriatic-Ionian and Danube macro-regions? What are the socioeconomic trends in arrival, transit and destination regions and cities? 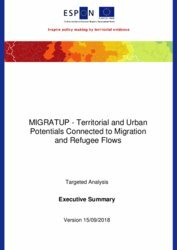 What are the impacts of the migration and refugee flows on arrival, transit and destination territories at different scales (macro-regional, cross-border, regional and urban levels)? What types of regions and cities are the most attractive to migrants and refugees? Are there distinct features? How can integration be managed? How can integration policies be linked to already existing policies? How can cohesion policy instruments best be used to boost the integration process of immigrants and refugees and to enhance social and economic inclusion? How are both emergency management and medium and long-term integration best financed? Particular attention should be given to the strategic deployment of European Structural and Investment Funds in the present programming period 2014-2020 and the delivery of the Urban Agenda Inclusion of Migrants and Refugees objectives as well as the Europe 2020 objectives of smart, sustainable and inclusive growth. How can the potential of migration and refugee flows be tapped as a development factor in contributing to reducing demographic and economic imbalances? How can a balanced territorial distribution of the migration and refugee flows be better facilitated in the two macro-regions, taking into account the different geographical scales (macro-regional, national, regional, urban), in order to reduce the negative impacts and enhance the positive ones. How should a balanced distribution of migrants and refugees according to territorial needs and potential attractiveness of the territories to migrants and refugees be supported? How can policy makers improve the attractiveness of their city or region by reconciling the interests of both residents and visitors in order to best overcome the challenges of reducing increasing demographic and economic imbalances?